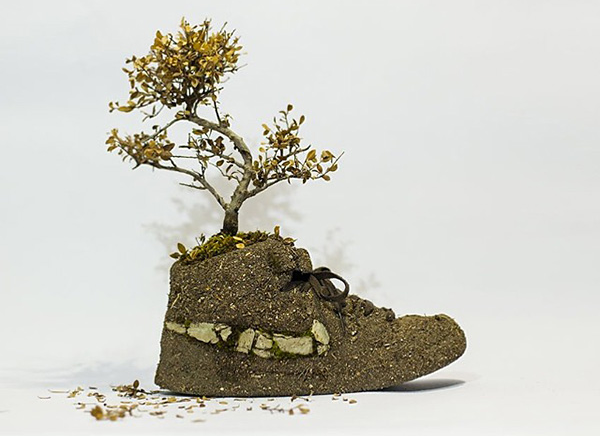 French artist Chirstophe Guinet, whose urban art and installation pieces have predominately featured nature and plant life, has recently released his newest foray into combining nature and manmade products with his “Just Grow It!” series of works! This project creates iconic Nike sneakers using a wide variety of materials from nature that Guinet hand-collects himself, and put an interesting spin on the iconic urban shoe brand. 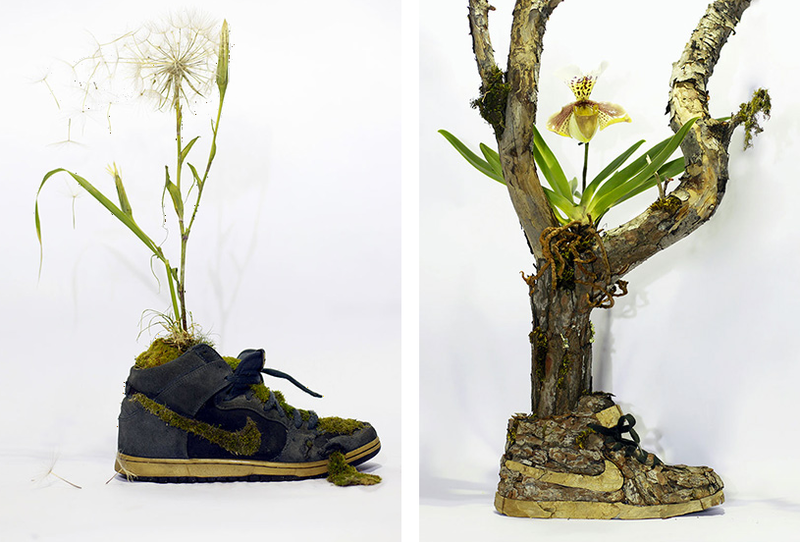 Each shoe in the projects embodies a different medium and motif; one shoe is made out of plant fuzz and twigs, while another is crafted out of tightly packec soil and rocks. Some shoes feature plantlife like grass and moss bursting from the seams, and one shoe is even entirely sculputed out of tree bark! 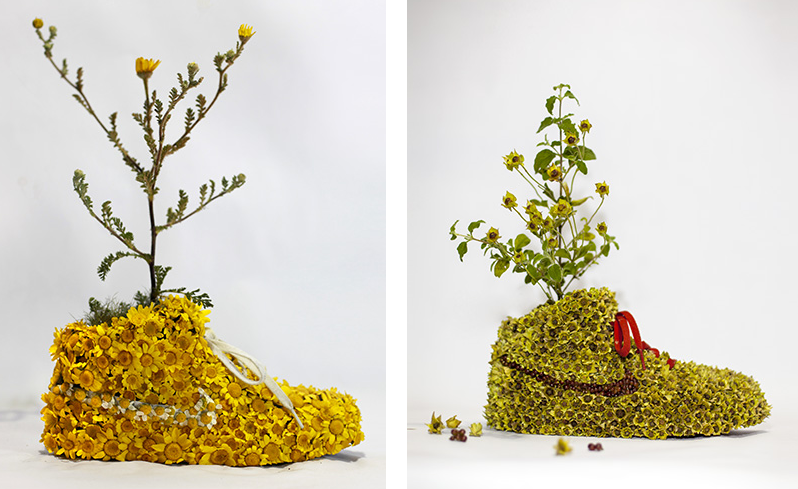 These nature-inspired shoes were put on display earlier this month at the SEIZE Galerie in Marseille, France, and Guinet created a short video detailing the creative process and final look of his shoes. Check out the video, along with photos of his artwork below!